Species description: Large 11 ton herbivore with frill around 6.5 ft head and 1 nose horn with 2 Brow Horns off frill. Species description : Large many ton dinosaur with 2 brow horns reaching 40” long and a nose horn and quite capable of defending off TREX . Item description and rating: 1-10 10 Extremely Rare Perfect Large Triceratops Coracoid 17”x 13” -Attachment to Shoulder Blade. These are impossible to find anymore , and it’s my only my second in 20 years Trike Coracoid in a long time . This is large, wide, and heavy and is complete. It’s 100% Original with only crack and spot fills . This has no restoration at all. Even the edges are original through all of it. It’s a real treat and displays well on a metal display. The dark brown color is so typical in this rare area. This dinosaur also 2 whole arms and 1 whole leg was found with this piece, and sold just weeks ago . I juist put this on after receiving it later. You will probably not find another for sale so don’t waste time or it will be gone. For someone who wants everything trike you better get this fast as no one has this piece. The details of this piece is absolutely amazing. The shoulder blades these attach too, I’ve had at least 3 and they go for huge money , but not this beautiful piece. When I get a deal, you do also . Item description and rating: 1-10 9.9 Wow This is the best by far of the 3 Triceratops Ischiums I’ve had in 20 years . 34” long around the curve . This beauty doesn’t get any better for this bone as the shape, color, bone quality are outstanding . I never saw a more beautiful bone than this one . Its from an adult Triceratops Pelvic Bones are so rare for a Triceratops to find. T I have the other one also which is pathological so size and shape are different but its complete. The bone quality is impeccable . It was found by a top dinosaur hunter and the brown color with texture . It was found with only a few cracks but never broke from what I can tell . The pelvic bone was found last year and was an underground find -the best type due to excellent condition which results from protection under the ground. It does have crack and spot fills with no restoration. It can be shipped in a box safely. It’s a way to get a large bone for ¼ the price. I haven’t had one in a while , and now have two this one the largest .This bone is the best, and is what makes this reptile a dinosaur as these are the only reptiles that had pelvic bones over the feet. These bones due to narrowness are really rare to find .For you trike enthusiasts this is a keeper. I love trikes and this is a piece you must have. I can sell you a wooden display I believe would work well for $79 dollars .I sold my only other one not near this good for more than this. This is a huge deal if you want quality and a rare bone. Item description and rating: 1-10 9.9 Beautiful Brown Rare Triceratops Pubis 15 “ Long found by a top dinosaur hunter which is super in color, shape , and bone texture. This is only my second one . 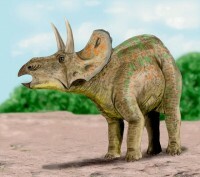 It was found with many Triceratops bones. It’s not real large but quality is amazing . It was an underground find. Bone quality is excellent. Few crack fills is all this had . I don’t see any restore . This is one of rarest triceratops bones you will ever see. I have 2 ischiums and they are rare . For you trike enthusiasts this is a keeper. I love trikes and this is a piece you must have. They just don’t get better for such a rare piece. Anyway for a top bone you can’t do better than this anywhere. The person who sells triceratops items who sold me this said bones like this should go for $1500 even though not a huge bone . It’s packed in foam in a box and very shippable. This is from the same dinosaur all the other bones I have also and it is an adult -just not a huge one . Item description and rating: 1-10 9 This is a string on a foot claw with 2 perfect phalanges all original . Large Quality Triceratops Hoof with Nice Detail and some wear . What is so nice its all original . Each phalange is worth a few hundred as they are rare for Triceratops. The Hoof is not perfect but nice and all original . IT has some weathering but shows fine detail and no resto and 1 repair in gluing back one break on a phalange , Hoof and 1 phalange were found at surface and 1 underground It is a fine example of one of my favorite dinosaurs. They have been hard to find the last few years . IT is also a part underground find as most are and you will enjoy also this wide hoof. It comes with metal display also . Add it to your collection as a super price .I can’t lower it but will provide a wholesale price . They were found together. 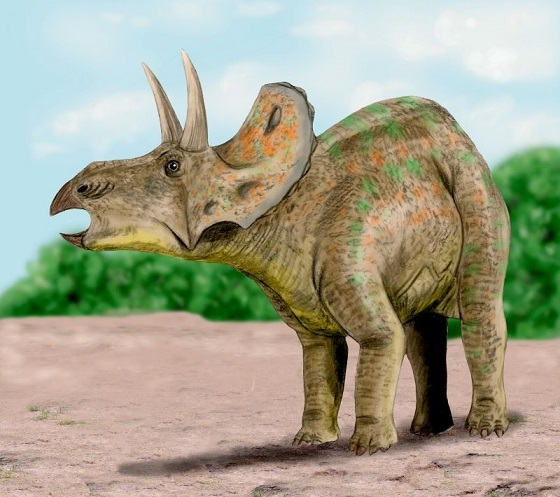 Description : An extinct species of Certopsian dinosaur and forerunner to Triceratops . They were obligate bipeds at adulthood with high skull with beak with males having horns on side of face. Adults range in size from skeletons 25 inches long skulls 3 inches up to 5 ft long –small in size for a ceratopsian but they were the first . Description: 1-10 10 This is a framed Letter of COA by a Noted Palentologists Findings of multiple egg shells form different dinosaurs including Therapod egg shell., Hadrosaur egg shell and Triceratops Egg Shell . No one has this anywhere as these are first discovered egg shell outside of Northern Montana close to Canadian border owned by the government where Maisauria Hadrosaur Full Eggs were found. So these are only known egg shell available for sale, and verified by a paleontologist that they are egg shell. It has a nice write up by the paleontologist as a nice display piece which includes shell electron microscope picture results. It can be hung on a wall or displayed. Species description: Large 11 ton herbivore with frill around a 6.4’ head and 1 nose horn with 2 Brow Horns off frill.